A warm caring environment is what we pride ourselves on at Halo Dental Practice. The highly skilled team provide gentle, worry-free dental care with the aim to make you smile. We work to the highest standard of care within a relaxed and friendly environment. 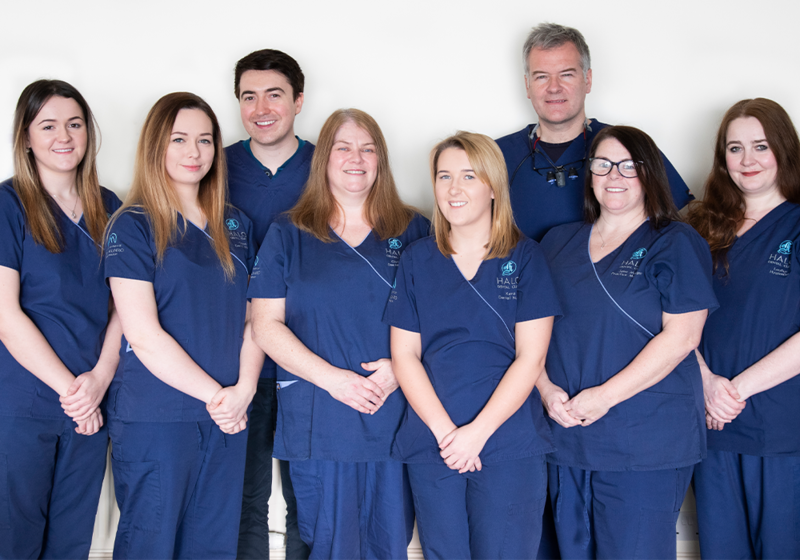 The Halo Dental team are members of professional bodies such as the GDC, British Dental Association, ADI, A.O and FGDP. The team are diligent about ongoing professional development and training, so that each can make a positive contribution to patient care, and to increase their own job satisfaction. Some training takes place in-house, such as care of equipment, while courses also take place in college or other academic institutions. Each team member currently has plans to further their training and we all encourage each other to be ambitious. We are all trained in emergency CPR and hand hygiene and sterilisation techniques. 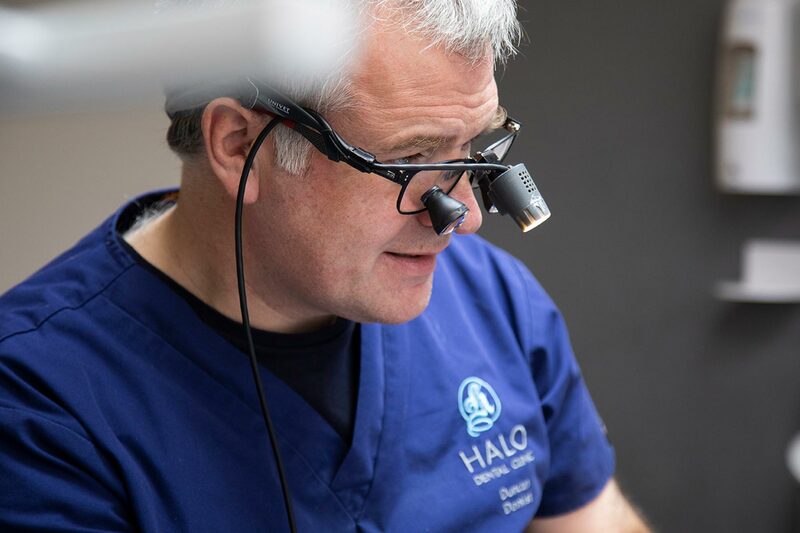 At Halo Dental, we use strict protocols in cleaning and sterilisation to ensure the wellbeing of both patients and staff alike. 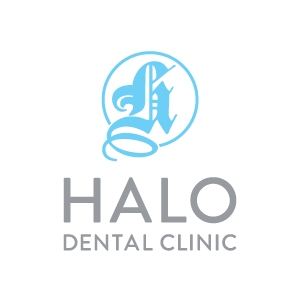 Halo Dental hold a fantastic implant clinic that allows our patients to achieve the smile they have always wanted. Unlike denture or bridges, implants are more durable, provide a more permanent fix and are the closest solution to natural teeth, both in appearance and fit. Our Dentist, Duncan Black, is highly experienced in the field of implants and will ensure that you receive the highest quality of care throughout your treatment. Duncan will spend time discussing your concerns with you in order to outline the available options and work out the best treatment plan tailored just for you. We use the latest technology in order to bring you the best possible service in a comfortable environment. We will always do our best to accommodate an appointment time that suits you as we understand that many of our patients are restricted by working hours or family commitments. Annfield Place Dental Practice has relocated to 4 Annfield Place, following a merge with Halo Dental Clinic and is now under ownership of the Clyde Munro Dental Group. To book yourself an appointment, please contact Halo Dental Clinic on 0333 200 4443. Since gaining her Diploma in Dental Hygiene from Edinburgh in 2001 Louise has worked in a few practices including eight years within a specialist referral practice in Glasgow, six of those at Halo Dental gaining experience in complex gum problems. Louise enjoys hygiene therapy and likes the improvement that can be achieved in patients’ oral health. In her spare time, Louise enjoys socialising and family time. Christina is our most experienced qualified dental nurse. She has 29 years’ experience, 24 of those working with Duncan! She enjoys fulfilling her valuable role as part of the Halo Dental Team. In addition to being a trained dental implant nurse, she enjoys other aspects of working in the surgery and organising things at reception, while looking after our patients with a very caring and friendly manner. Jane Marie is a valuable and long-serving member of the Halo Dental Practice Team. She cares deeply about the wellbeing of all patients, and the smooth progress of their dental treatment. Jane Marie has worked with Duncan for 24 years. She is a trained dental implant nurse, providing valuable support in surgical procedures. For any course of treatment, Jane Marie will discuss and explain details so that patients are well informed throughout the decision-making process. Being in central Glasgow, we’re very easily accessible via all forms of transport. The nearest motorways are the M8 and M74, while the A74 is also close by. Parking can be difficult in and around Glasgow but getting to us by rail is very easy. We’re less than 2.5 miles from Glasgow Central and our nearest ScotRail stations are Duke Street and Bellgrove. There are also plenty of bus routes that stop nearby, including the SimpliCITY 41, 60, and 60A, as well as the 8, 46 and 90. Private parking is available for patients at the rear of the practice.